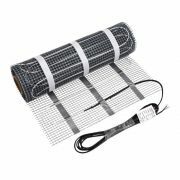 Enjoy the feeling of stepping on to a luxuriously warm floor with the Cosytoes 68mm electric underfloor heating loose cable. Ideal for irregular and awkward shaped floor areas such as bathrooms and cloakrooms, this 3mm thick loose cable produces 2559 BTUs per hour. 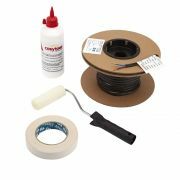 Suitable for wetrooms, it is simply adhered to the floor with the supplied fixing tape.